The devastating tragedy that carried away hundreds of lives and continues to take its toll on people in all corners of the CIS region occurred on 26 of April in 1986. The initial malfunction happened not that far away from the main city of Ukraine Kiev – only 130 km separated the accident site and the biggest settlement of the country. The local NPP was the largest object of this category in the whole world and was listed amongst the top priority military facilities. There were multiple reasons why the failure took place so unexpectedly. The lack of up-to-date safety measures and automations, low safety precautions during the experiment that led to the meltdown, and miscommunications between staff members – everytyhing led to fuel overheating that night. At circa 1:24 AM, a massive explosion shook the land around the NPP, the second explosion followed up shortly after. Both explosions happened seconds after the initiation of the experiment. Some specialists claimed that the safety was not turned on even for just a couple of seconds and this was the crucial problem with the experiment that resulted into a catastrophe. The amount of pressurizied steam released due to the explosion simply blew away the rood of the complex and the following detonation was casued by the steam containing melted graphite particles contacting with the air inside. The irresponsible staff simply failed to take all the measures prescribed by the safety and restrictive discipline instructions. However, yet another set of circumstances also became core reasons for the calamity. The very cores were supposed to be turned off before the experiment. But, taking into consideration the upcoming celebration of the May 1st, the management decided to postpone its shutdown for 9 hours. The NPP needed to produce enough electricity for the facility to reach goals set for the month. Another problem was that staff members who stayed to work were inexperienced newly arrived specialists while those who trained to deal with emergencies were not present. A series of operator actions, including the disabling of automatic shutdown mechanisms, preceded the attempted test early on 26 April. 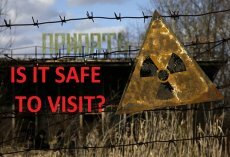 By the time that the operator moved to shut down the reactor, the reactor was in an extremely unstable condition. A peculiarity of the design of the control rods caused a dramatic power surge as they were inserted into the reactor. The interaction of very hot fuel with the cooling water led to fuel fragmentation along with rapid steam production and an increase in pressure. The design characteristics of the reactor were such that substantial damage to even three or four fuel assemblies can – and did – result in the destruction of the reactor. 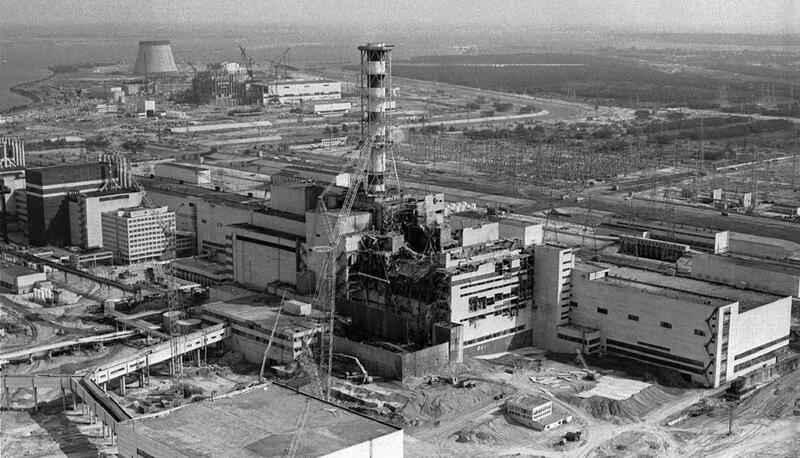 The overpressure caused the 1000 t cover plate of the reactor to become partially detached, rupturing the fuel channels and jamming all the control rods, which by that time were only halfway down. Intense steam generation then spread throughout the whole core (fed by water dumped into the core due to the rupture of the emergency cooling circuit) causing a steam explosion and releasing fission products to the atmosphere. About two to three seconds later, a second explosion threw out fragments from the fuel channels and hot graphite. There is some dispute among experts about the character of this second explosion, but it is likely to have been caused by the production of hydrogen from zirconium-steam reactions. Two workers died as a result of these explosions. The graphite (about a quarter of the 1200 tonnes of it was estimated to have been ejected) and fuel became incandescent and started a number of firesf, causing the main release of radioactivity into the environment. A total of about 14 EBq (14 x 1018 Bq) of radioactivity was released, over half of it being from biologically-inert noble gases. About 200-300 tonnes of water per hour was injected into the intact half of the reactor using the auxiliary feedwater pumps but this was stopped after half a day owing to the danger of it flowing into and flooding units 1 and 2. From the second to tenth day after the accident, some 5000 tonnes of boron, dolomite, sand, clay and lead were dropped on to the burning core by helicopter in an effort to extinguish the blaze and limit the release of radioactive particles.